As September draws to an end, it's time to rewind and look back at favorite projects from last fall! Here were my top five favorite projects from September 2012. Click on each photo to see the original blog post with project details and (in some cases) video tutorials. I hope you enjoy these projects, again. 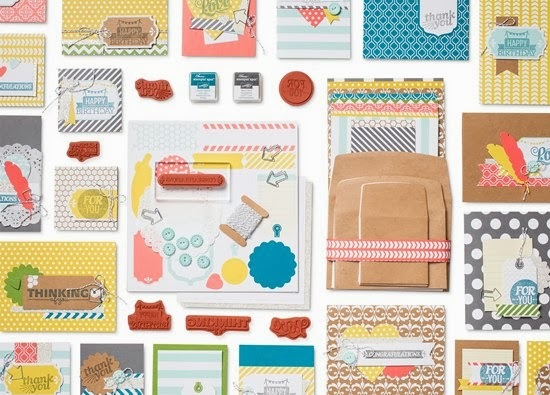 I am so excited about this brand new card-making kit from Stampin' Up! 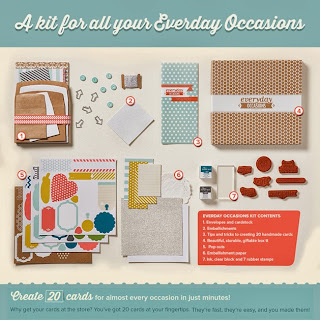 The new Everyday Occasions Cardmaking Kit includes everything you need (minus adhesive and scissors) to create 20 beautiful cards for almost any occasion. SEE THE CARDS HERE. It even includes envelopes!! Check out the Clear Mount stamps that are included in the kit. This stamp set alone is a $14.95 value! The Everyday Occasions Card-Making Kit also includes a mini clear block, two mini ink pads, and pre-cut paper and embellishments to make TWENTY (20) cards!!! 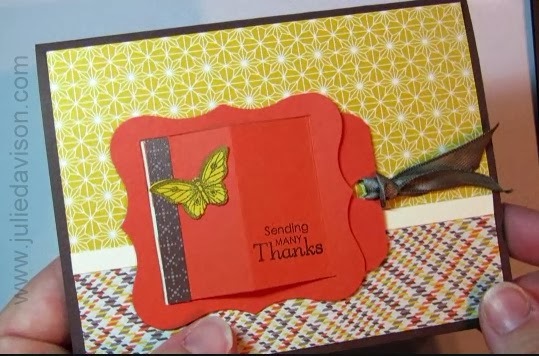 This kit was designed with brand new stampers in mind. It would be make an ideal gift for a new crafter, but with such an incredible value, you'll want to add this to your own collection, too! Making 120 swaps is a daunting task. I don't usually make that many swaps, not even for Convention! 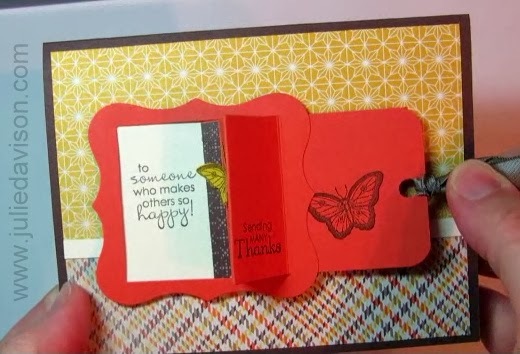 I love swapping, but I just have SO many card samples already! But you can't go to Founder's and NOT swap, right!? Here is the card that I designed for my Founder's Circle swap. Notice I said designed. When it came to making the cards, I called in for back-up! Many thanks to my friend and stamping assistant, Wiko! You truly saved the day for me! Check out these new additions to Stampin' Up! 's line of Photopolymer stamps! Click each image for a closer view in my Online Store. 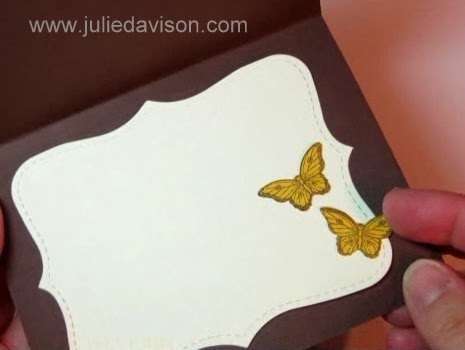 I designed this card to make with my Stamp Club this month to show off the Papillon Potpourri stamp set and Bitty Butterfly Punch bundle that is on sale this month. (Learn More) I was inspired by a card that Shelli demonstrated at Convention and was surprised to find that it was easier to make than it first appears! After two early mornings, I enjoyed sleeping in without setting an alarm for my last day in St. George. In fact, I was so lazy, I didn't go down for breakfast until 10:30! I spent the rest of the morning and early afternoon chatting with friends and working on more make and takes. Our surprise "Final Night Activity" started at 4:00 pm. They bussed us to a local family farm, where we played games with our candy-themed teams (from the first night) and won prizes. It was terribly windy, so they moved our outdoor dinner into the barn, which was decorated so nicely! The menu was pulled pork with potatoes and salad and homemade root beer. Then for dessert, we had apple cobbler with ice cream. I ate so much I felt sick!! On the bus ride back to the hotel, I found the last two demonstrators I needed to sign my Founder's Circle Yearbook! One of the best parts of the Founder's Circle retreat has been getting to know everyone and visiting with old and new friends! I'm sad that our time in Utah is over, but I look forward our next stamping adventure and I know I'll see them again soon! 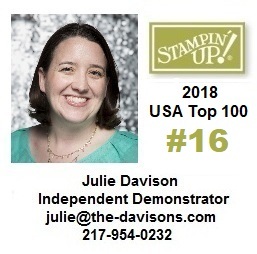 Labels: Founder's Circle, Stampin' Up Events, Stampin' Up! I made it a point to plan another excursion with Paragon Adventures while I was here in Utah. Last year, I went hiking, rappelling, and zip-lining with them and the experience was empowering and unforgettable! The guides are so knowledgeable and literally let us walk all over them! This year, we did their Intro to Canyoneering excursion, which included rappelling and hiking through a slot canyon, specifically Yankee Doodle Canyon in Southern Utah. Here are some highlights from our trip on Thursday. Special thanks to our guides Matt and Bryan who took these great pictures! Look closely and you can see Kay and Brenda on the ground below me (over my shoulder)! There were a few places in the narrow canyon that had standing water and the only way around it was to go through it!